Serving Maryland and Washington D.C. 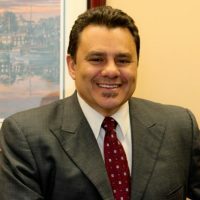 If you have been injured due to another person’s careless actions, or if a loved one has suffered from a company negligently cutting corners, the Law Office of Robert Castro, P.A is ready to fight for your rights. We feel very confident in our abilities to represent injured victims, which is why we welcome you to reach out to us for assistance if you have been injured. We can help you pursue justice by filing a compensation-seeking claim as soon as possible. Whether we settle your case inside or outside of court, we are willing to do whatever it takes to recover the fair compensation you need for your injuries. Our seasoned trial skills could make all of the difference to your situation. Receive personal attention from an experienced attorney, call us today at (301) 804-2312.